Imagine being imprisoned for three decades for something your grandfather, someone you had never met, had done. This was the fate of Mrs. Kim Hye-sook, who testified against the North Korean regime on Wednesday at a special event held to shed light on the scale of human suffering in North Korea. Mrs Kim, a former political prisoner among what is though to be between 80,000 and 120,000 in North Korea, told of being arrested at the age of 13 and not knowing the reason for her imprisonment – that her grandfather, whom she had never met, had defected to South Korea – until she was released almost three decades later. “Rule #1 in the camp: you should never ask why you were there. Many of those who asked were publicly executed,“ she explained. The event, cosponsored by Australia, Botswana and Panama, provided a timely reminder to the UN’s member states that although the North Korean regime chooses to isolate itself, it doesn’t mean we should ourselves turn a blind eye. 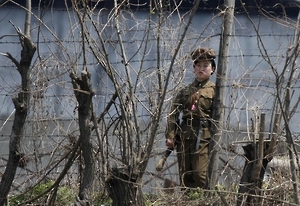 In the West we probably too often ignore the human rights abuses taking place in North Korea. Our media certainly tends to favour gossip about the state’s leader or kooky photo albums showcasing the state’s ‚fashion police‘ over reporting on the harsh realities of life in North Korea. The EU and Japan have coauthored a draft resolution acknowledging possible crimes against humanity in the state, recommending possible action, such as referral to the International Criminal Court, be taken. It is now up to the UN General Assembly to adopt this resolution and demonstrate that the world does not tolerate gross abuses of human rights. Since the UN commission of inquiry on the Democratic People’s Republic of Korea published its damning report of the state in February, the DPRK has since circulated its own version which denies any abuses. They had also refused to give unconditional access to the UN’s Special Rapporteur on human rights in North Korea. The regime is clearly on the defensive, making it even more important to garner widespread support for the improvement of North Koreans‘ access to human rights.